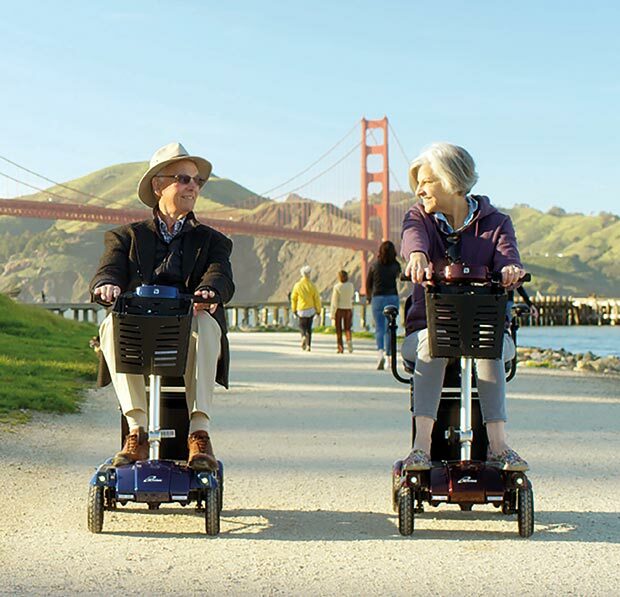 The i3 Foldable Mobility Scooter is the perfect choice for individuals who wish to continue leading and living an active lifestyle. Price excluding VAT.(Incl. 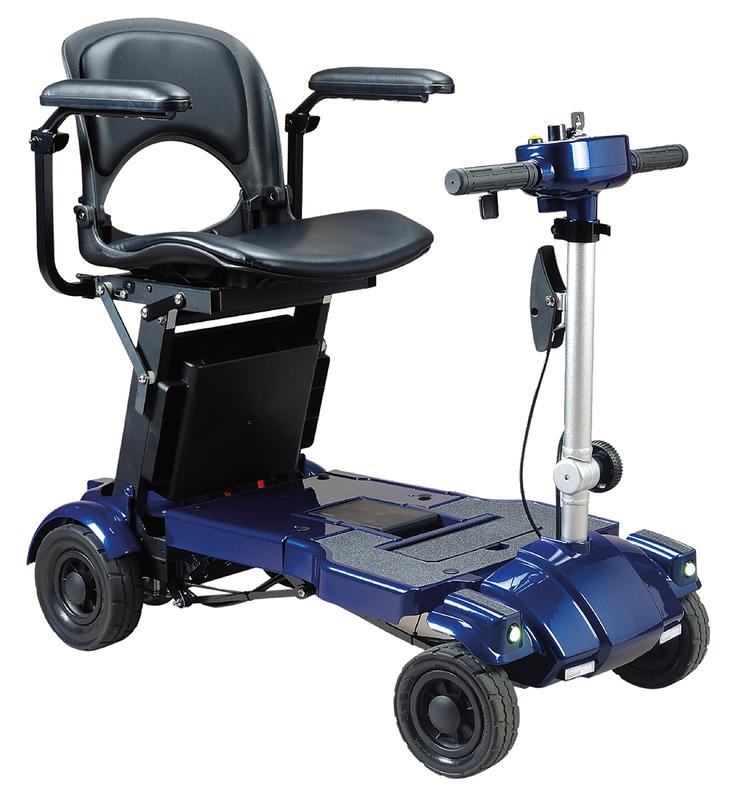 VAT £2,394) *VAT Relief available on this product. This is the exciting NEW lightweight mobility scooter we call the i3. It's an excellent choice for people who wish to continue living an active lifestyle - whether that's in the local area, day trips, or holidays abroad. In fact, the i3 mobility scooter is perfect for further travel. Made from lightweight, yet robust aluminium it can be used on all public transport including car, bus, aeroplane, train, and cruise ship. A single lithium battery will provide a travel distance of up to 7 miles. And, if that's not enough for your lifestyle, a second battery can be used to double the distance. You can change between batteries with a flick of a switch - that's simplicity at its best! It only takes a matter of seconds to fold the i3 ready for storage, meaning you won't be hanging around to get on with your day. Additionally, it features a compartment in the floorboard for you to store personal items, a USB port so you can charge your devices, and a cushioned seat to keep you comfortable. We believe that mobility scooters should complement an on-the-go lifestyle, rather than hinder it. That's why finding the right scooter that can be folded and stored with ease was our main goal. And if that wasn't enough... Please click here to find out about the i3 Power Lifter.